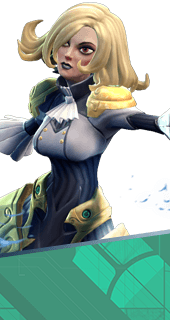 Technocracy is an Ability of Phoebe in Battleborn. Phoebe's high-tech formal wear and telekinetic sabres can be augmented to substantially increase her survivability and lethality. Increases maximum shield strength. +195 Shields. Substantially increases Phasegate's casting range.